What’s the difference between entrepreneurs who wonder how to write a book, and those who actually do it? Authority, Credibility. Financial success. Fame. And that’s only the beginning. 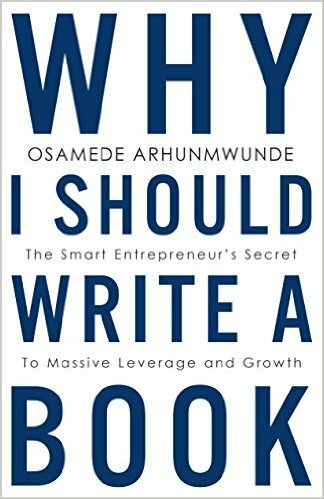 In Why I Should Write a Book, international bestselling author Osamede Arhunmwunde uncovers the many life-changing, yet little-known benefits of becoming a self-published author. Step by step, he uses his own personal story to show how writing a book can present entrepreneurs with a whole new world of exciting opportunities. Of the 80% percent who dream, only 1% actually do it. Very people ever realize or consider the vast benefits of writing a book that only published authors know about! Inside, you’ll discover not only these massive, little-known benefits to writing a book, but also step-by-step guidance on how to do it yourself and profit from the power of self-publishing. 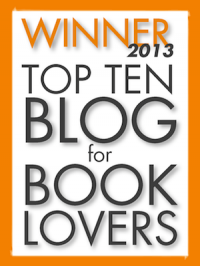 Get past the roadblocks of wondering how to write a book, and start actually doing it. Use the experience and tips of a bestselling author and accomplished entrepreneur to make your book-writing dreams a reality. What do Oprah Winfrey, Tony Robbins and Suze Orman have in common? You may be surprised to discover how becoming a published author transformed each of their careers, long before their fame and wealth. See how to build credibility and become an authority in your field – two crucial components that enable you to start profiting from your book outside of actual book sales! How to earn passive income streams from your book. Think beyond initial book sales and royalties. Discover how becoming a published author can generate passive income for your other ventures. Learn the tricks to self-publishing, reaching a wider audience, and earning higher royalties from your book sales. Get proven tips for building awareness of your book – and your business – across numerous channels, online and offline. Avoid the common pitfalls of becoming a Published Author. Discover how writing a book can propel your business and your life, and use Arhunmwunde’s powerful advice to make it a reality.